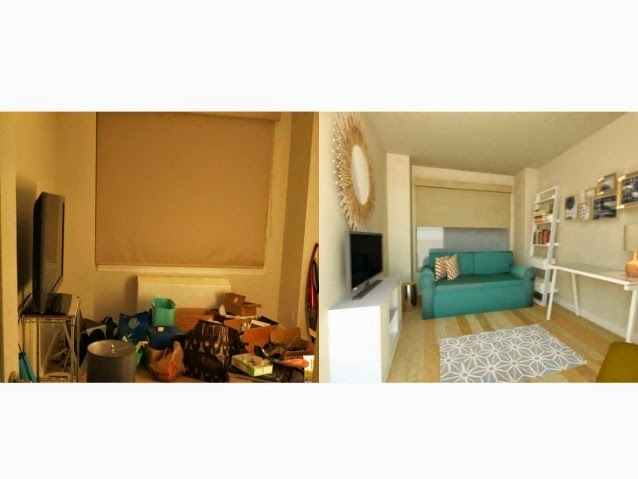 Do you watch those home shows and wish you could transform a room like they do on TV but don't know where to start? I discovered a great website that will help you take any room in your house from dull to wow. 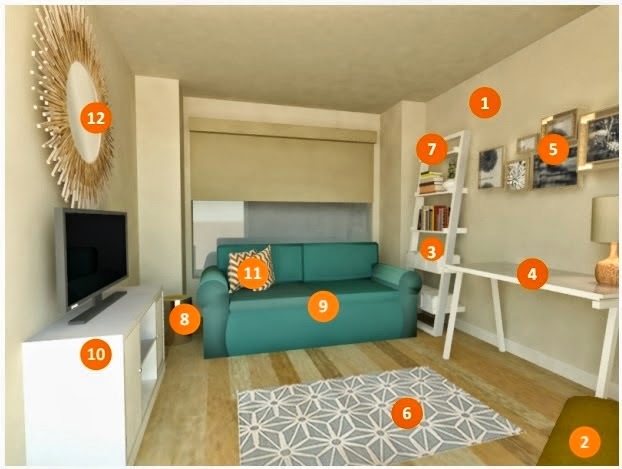 Roomations is a website that connects homeowners with freelance designers to make personalized interior design convenient and accessible to anyone who wants to improve their home one room at a time. You get expert personalized interior design advice that won’t cost you an arm and a leg. Roomations offers the resources to guide you through your home improvement journey. This cool site allows you to take a picture of the room in your house that you want to transform and upload it to their website. You will then take a quiz to discover your personal design style. You choose a designer and answer questions about the room you want to transform, like measurements and budget. A designer will then look at your room and give you photo-realistic images of what your room can look like. You then select your fave room design concept and you will then get a detailed shopping list of everything you need to buy, including the paint, to make it a reality. I love that the shopping list includes prices and the store to buy the item at. If the item is sold online, they will include the website. Just look at the above photo to see the amazing transformation.The sample picture below labels the items on your shopping list so you will know what the list is describing. This website also has crib sheets, which are articles on design topics you want to read about. These are topics like pros and cons of 2 in 1 paint or tips on creating the ultimate bachelor pad. There is a whole list of topics to read on anything from color to organization. Roomations even has a gallery of photos to check out the work of what their interior designers have done for real customers. These designs were customized to their taste and budget. To check out how Roomations can help you make any room in your house from dull to wow, click on the below links. "These opinions are my own and I was compensated from Roomations to write this post." That's a very cool concept...I like how they detail all of the items used to create a specific look. You can decide if it's something you like or not. Definitely gives you a wide range of options to consider when remodeling a room. Well, I'm headed over to the site. I have two rooms in the house that could def. use a re-do. I am going to check this out. I plan to re-do some updates once the kids are back in school and I have some time. I want to update the bathroom, laundry room and give my son a big boy room. That sounds like fun. I love shows like this! Wow, that's great. Most of the things you see for decorating are crazy with cost and not even something that I can think of doing - I love this! This is too awesome! This will come in hand when I move back to the States. I do watch home shows and think I wish I could afford that, so I really like this concept. Thanks for sharing Roomations with us, I'll check them out. I love this idea--I'd like to try it with our tiny spaces that just need a little love. I love that you can actually upload pictures. Cool!